What qualities make someone a good friend? If you had to define “friend,” how would you describe it? These are just some of the themes that the Duffer brothers (the show’s creators) begin to tackle in Episode 2 of Stranger Things. 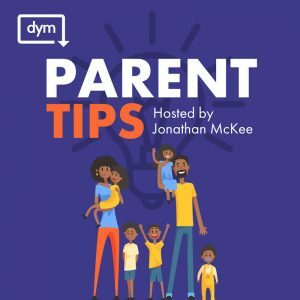 Episode 2, entitled “The Weirdo on Maple Street,” addresses common problems that so many people face: failing to fully understand each other and resorting to quick assumptions, labels and name-calling. We see this in the beginning of Episode 2 when the three boys appear to be interrogating this new and mysterious girl in Mike’s basement. The boys bombard her with questions as she sits on the couch scared, soaking wet and apparently unable to speak. Lucas and Dustin are insensitive (Dustin even jumps toward her and claps his hands really hard in her face), abrupt with her and quick to jump to conclusions, revealing some of their character qualities right off the bat. From this beginning scene, we see three distinct characters emerge in Dustin, Lucas and Mike. Dustin appears rude and insensitive, Lucas is shown to have disregard and doubt, and Mike reveals his kindness and compassion, even leaving the bathroom door cracked open when he realizes El is scared. The trust between the characters are explored later on when Mike’s mother comes home unexpectedly, and we are given an even greater insight into El’s backstory. Mike asks El to hide in the closet and tells her he has to shut the door this time. He promises to come back as soon as he can to get her. At this point we discover that El has a limited vocabulary, particularly when it comes to ideas surrounding human kindness (e.g., she doesn’t know the meaning of “promise” to which Mike says it is “something you can’t break”). As Mike and his mother talk downstairs, El goes through a frightening series of flashbacks as she sits in a dark closet waiting for Mike to return. We see visions of her being carried off by men while she screams out “Papa, Papa” to a seemingly uncaring Matthew Modine who watches on in the background. Finally, Mike comes back, opens the door and finds El with a tear-stained face curled in a ball on the ground. 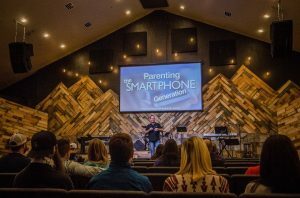 Her first words, “Mike” with imploring and grateful eyes reveal to the audience that she understands the word “promise” for the first time – Mike was true to his word and came back for her. Um… a friend is someone that you’d do anything for. You lend them your cool stuff, like comic books and trading cards. And they never break a promise… Friends tell each other things. Things that parents don’t know. Nance! Nancy. Where are you going? Nowhere. Just upstairs. To change. I fell in the pool. Why don’t you go ahead and go home. I’ll just get a ride or something. I’m fine. Just go ahead and go home, okay? Thanks. The scene ends with Nancy and Steve alone in a bedroom. Barb walks outside and sits down on the diving board. Blood from her finger drips into the pool. Pool lights flicker. A low growl begins followed by a scream, and Barb disappears. Another cliffhanger. So, who are the characters that we would consider “friends,” or the type of people we would want in our own lives? Should they be honest with us? Should they let us know when they are worried about our behavior? Should they stick around even when we are making ‘bad’ choices? As a child, I encountered a lot of bullying in elementary school. I thought I had to say the right words, dress the right way, act cool and try to impress other students in my classroom. Man did that backfire. For whatever reason (and really, I don’t know to this day), I was a target and the victim of some pretty horrible things from the girls in my fifth and sixth grade class. My stomach would begin to hurt at the mere idea of going to school in the morning, and I made numerous phone calls home (usually around recess time) to avoid the playground and the verbal insults and physical threats that faced me. I didn’t know Jesus at the time and often would cry myself to sleep wishing my situation at school were different. By junior high, I was ready for a change. I transferred to another district and to a school with entirely different kids. It was there that a girl reached out to me and told me about Jesus. She gave me a Bible and I began reading it nightly. As I learned more about Jesus, I discovered that He loved me for who I was. I didn’t have to pretend around Him. I just had to receive His forgiveness and accept His love and friendship. 5 It does not dishonor others, it is not self-seeking, it is not easily angered, it keeps no record of wrongs. 6 Love does not delight in evil but rejoices with the truth. 7 It always protects, always trusts, always hopes, always perseveres. While Stranger Things does not specifically address love and friendship from a Biblical perspective, it is easy to see the two characters that stand out for their true love and friendship – Mike (with Eleven) and Barb (with Nancy). 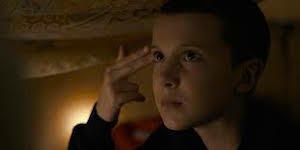 Mike is willing to accept Eleven for who she is and to be patient with her as she gains trust and opens up to the group. Similarly, Barb is honest with Nancy and is protective of her and encouraging of her to do the right thing (even though Nancy disregards her advice). It is easy to align with these two characters and to aspire to be more like them because they exhibit true love and friendship. Which character in Stranger Things do you most closely relate to? Do you have good friends? What makes them good? Are you a good friend to others? In what ways do you show good friendship? 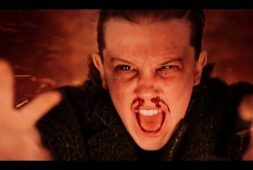 Why do you think Eleven had such difficulty opening up to Mike? Was it important for Mike to show patience with her? Should Barbara have intervened in Nancy’s life by voicing her concerns? Does a good friend have an obligation to warn their friends of mistakes or bad choices? Should a friend stick around even when their friends are making bad choices? Why or why not? How do you think that will work out for her? If she was given a do-over and a chance to replay that entire evening, how could she avoid making the same mistake? The Internet went crazy when they saw what happened to Barb (no spoilers yet). 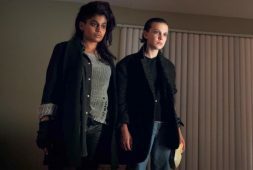 The Duffer brothers have responded to this Internet reaction by promising to address questions regarding Barb more thoroughly in Season 2. What qualities did Barb exhibit that you think resonated with so many viewers? How closely do you line up with the idea of love and friendship presented in I Corinthians 13? What areas do you seem to have an easier time with? Which areas are harder for you to follow?